Black Bonded Leather Manhattan Watch Box. 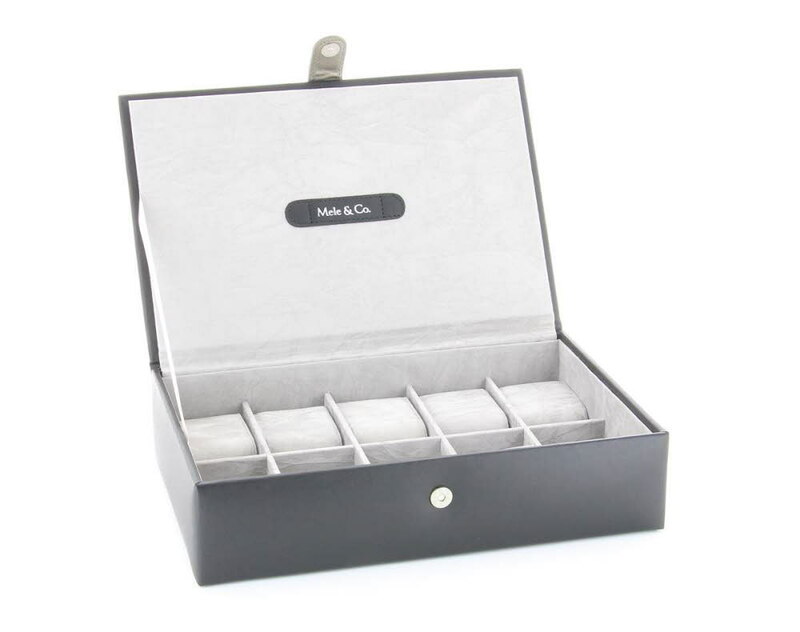 The black bonded leather watch box has a silver effect strip along the top of the lid of the box and holds up to 10 watches. It has a great suede feel interior and includes the 10 cushioned watch pads. This beautiful box measures 31 x 8 x 21cms. The box comes personalised with an engraved message plate, this is affixed to the outside of the box.